Assuming you were able to tolerate an extended appearance from Logan’s annoying friends, Netflix’s Gilmore Girls revival was a pretty entertaining dip back into the world of Stars Hollow and those eponymous Gilmore girls. It was also popular enough that the streaming service is eager to bring the show back as soon as possible, even if Lauren Graham isn’t too keen on that idea. So, while we wait another nine years to see if the show is coming back again, Netflix has decided to refocus its efforts on getting Gilmore Girls some damn Emmys. 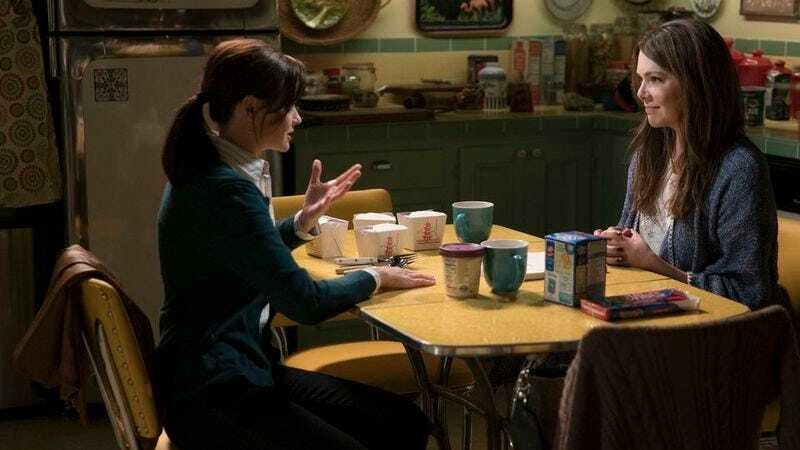 Gilmore Girls won the Outstanding Makeup award in 2004, but that’s not enough for the prestige-hungry Netflix, so it has now successfully campaigned to get Gilmore Girls: A Year In The Life submitted as a limited series instead of a traditional drama. This comes from Variety, and it means that instead of competing against, for example, Game Of Thrones and Better Call Saul or whatever, it’ll face shows like Big Little Lies and Feud. That’s assuming it even gets nominated, of course, but that won’t be announced either way until July 13. Still, Gilmore Girls has a slightly easier shot at some Emmys now, assuming the voters were okay with that whole thing about Logan’s annoying friends.